So you have talked to your developers, grilled the designers, worked day in and day out and finally have come up with a nice little app for your business. But you are facing the problem of how to attract people’s attention to it? We are here to help. 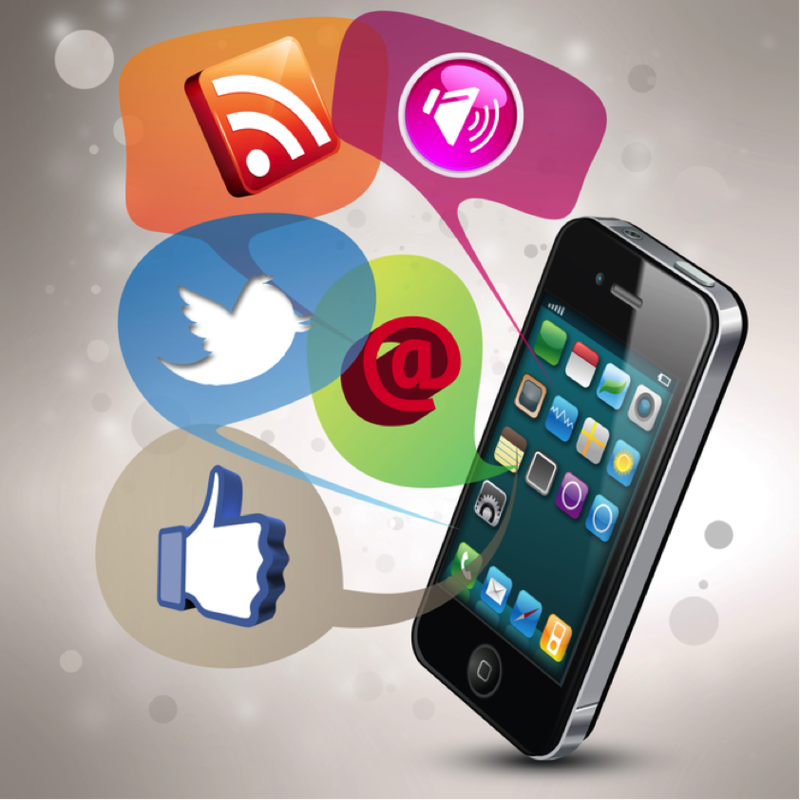 In this article we will show you how to use social media to promote your app. In case you were living in a hut on a deserted and isolated island I feel my duty to inform you that you will be competing with a millions of other apps across app stores. In July last year Google Play hit the one million apps mark and later in October Apple too reached one million apps on iTunes. You need to have a good social media strategy to succeed. So buckle up your belts, you have some serious work to do. Or at least most parts of it are. There are some strategies on how to use a social platform properly. Things which may work on Facebook, may not work on Google+ and may completely fail on Twitter. Choose a platform and then read some articles on what works on it and implement that. It is not difficult to get a few thousand followers on social media. Then you can exploit the cascading effect. This means that if a person will like, share, +1 or re-tweet one of your updates, it will be shared with his followers. Then if some of his followers do the same, it will reach more feeds and so on and so forth. Almost all the top apps have one thing in common. They come with in-built social media features. Don’t think of designing your app first and then using social media for app promotions. Design it, in the first place, by keeping social media in mind. At a bare minimum give the app users the option to follow your profiles through the main social media networks. Let users share information like their achievements and wins with their friends on social media. The easier you will make it for your app users to share information, the more people will see your content. You can reward people for following your app on social media or sharing your updates with their friends. Now I don’t mean you should be distributing iPhones to them, that would be too costly. But you can reward them through (say) virtual currencies. For example some car racing games allow access to higher levels and advanced features only when the user has earned some points by crossing the lower stages. You can tell them that they will earn a hundred points if they will follow your app on Twitter, just like Dropbox did. This way you will get more followers without any expenditure on your part. Yes you read it right, write a blog. A blog is a form of social media because people can follow it, comment on posts, interact with the writer, etc. There are many people from diverse backgrounds who have started a blog to gain publicity. I talk to a lot of bloggers who’d love to spend more time painting, storytelling, photographing, or some other creative pursuit, but don’t, because they feel it’s not pragmatic. And that’s sad, because it can be. Just as a blog can build buzz around a book or business, it can also be used to promote your art. Although he is speaking about art, it’s clear from the quote itself, that blogging will help promote anything including an app. What a good blog does is that it attracts a lot of readers. You can blog about apps so that you will attract only those people who are interested in apps. Then you can request them to try out your app and there will be a high chance that they will do so. In fact that’s to a large extent what we are doing here through this blog. I hope you found these methods useful. Let me know in the comments below if you have any questions or if you know of any other good way to promote apps through social media.